What kinds of camp are there in Orangeville? Orangeville is home to a wide range of summer and winter camps. This includes both day and overnight options. Whether your child is artistic, adventurous, a book worm, or a sports nut, there are plenty of options to choose from. To name just a few of the many, there are specialty camps with soccer, golf, skating, dance, music, robotics, yoga, and STEM programs. You may also choose a traditional camp for your child that offers a wide range of activities, such as swimming, canoeing, arts and crafts, and hiking. And don’t forget about campfires and roasting marshmallows! The answer: there is no set formula. Also, there is no “best camp.” The truth is that different camps will work well for different kids. Most importantly, you’ll want to find a camp that’s the right fit. And it helps to do some research, read the camp profiles here on Camps.ca, talk to camp officials, ask questions, and visit campgrounds. In the end, you should aim to find a camp that suits your child’s interests, abilities, and social and emotional needs. 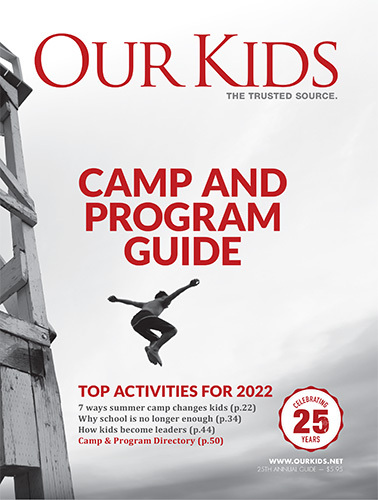 Above, we list camps and programs in Orangeville and the vicinity. Click on a camp profile to learn all about it, including its location, costs, programs, and session dates. You can also contact a camp directly, ask questions, and register your child for a summer session.